Runny noses, face masks, cancelled classes and worried calls from parents. Sound familiar? It is that time of the year (again) in which the haze pops up (again) like an unwanted itch and migrates all over the nation (again). And like any itch, we use all kinds of treatments to alleviate it. Here are 5 ways to slay the haze. Haze slayer 1: You know what they say, if you don’t like it, AVOID IT LIKE THE PLAGUE. With the haze stalking around outdoors, try to stay indoors most of the time. That includes minimizing your walks outside, exercising indoors, shutting all the windows and taking the time to catch up on your shows studying. Haze slayer 2: When you do need to walk around outdoors from class to class, put on a respiratory mask. 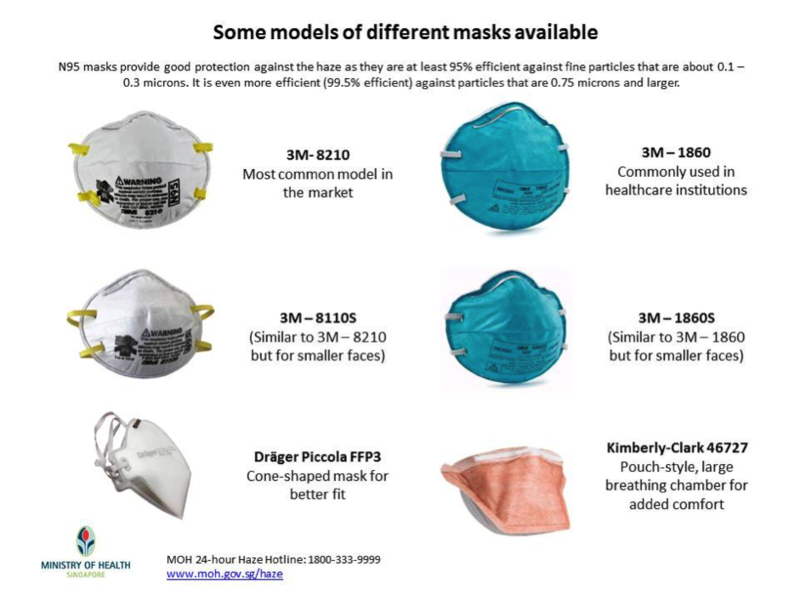 Please put on the proper mask, one of them being the N95 mask which are designed to filter out small particles from the air and prevent leakage around the edge. Make sure you change the mask once it loses its shape for fear of leakage. Surgical masks are NOT suitable as they only provide barrier protection against water droplets like when you have a runny nose. Haze slayer 3: When you are hit with a barrage of attacks, one can self-treat the minor symptoms. Apply a few drops of saline solution to reduce eye irritation and look sane. Consume cough tablets or hot honey lemon when you have a sore throat unless you like the raspy, husky voice. If symptoms get worse and persist, remember to check up at a hospital near you. Haze slayer 4: Personally, when the haze hits, I get skin breakouts. Remember to cleanse your skin thoroughly, not roughly, at the end of the day and consume enough water. A personal favourite of mine is to DIY steam my face once a week (do I have the time for that?) and apply a homemade mask of honey and cinnamon to refresh myself. There are lots of DIY websites online but make sure you do proper research before trying anything out. Haze slayer 5: Upgrade your diet. Drink more water and consume more fresh fruits and vegetables as the haze has a higher possibility of upping the toxins in your body. Reduce caffeinated drinks and alcohol as it increases fluid loss and makes you dehydrated as a result. If needed, get supplements like Vitamin A, C and E under doctor supervision. The haze comes and goes every year and usually, one only realises when there appears to be a strange filter over the horizon, not dust on glasses. Staying indoors to avoid a danger and wearing face masks, it almost sounds like we live in a post-apocalyptic world. 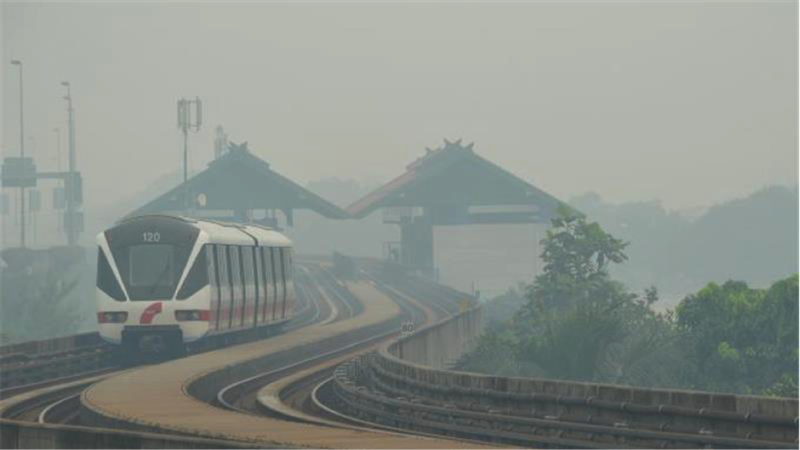 Tags: 1Malaysia, face mask, haze, healthy, hospital, mask, nature, respiration, safety, sore throat, symptoms, treatment, water, weather. Bookmark the permalink.